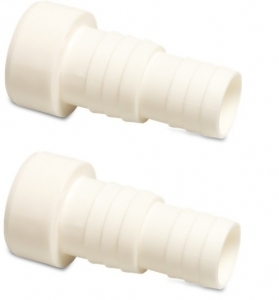 Hose Connector 50mm x 38mm - 32mm. These connectors allow you to directly attach either 38mm or 32mm swimming pool hose to the water inlet and water outlets of our ranges of swimming pool heat pumps. The connectors come in a pack of 2.